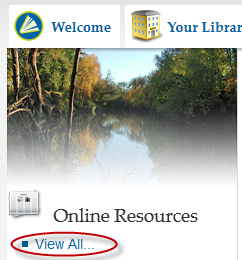 If you aren't sure which category your favorite online resource is in, just click on the View All link at the top-left of the page to see an alphabetical listing of all the online resources WCCLS offers. Questions about how to use the online resources available through WCCLS? Contact your local librarian, who will be happy to assist you.